THE LONDON LARTA BATTERSEA FAIR 21ST - 27TH JANUARY 2019. 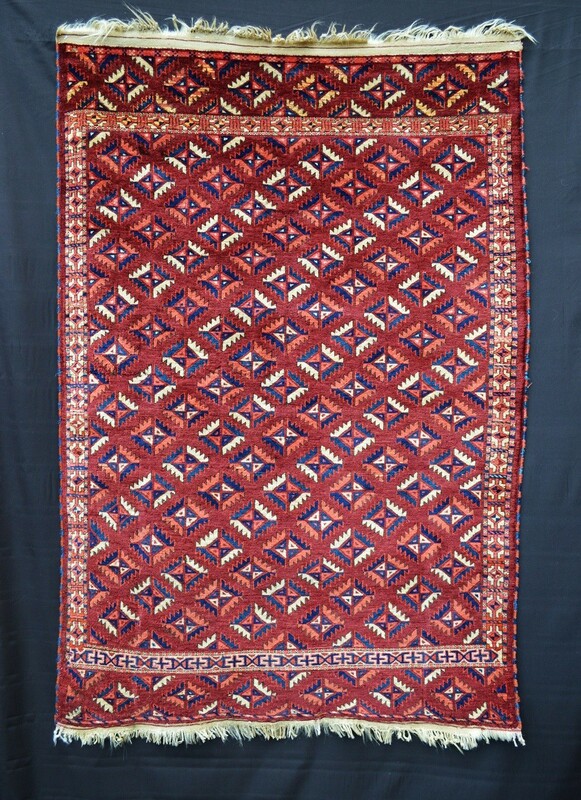 I will be exhibiting at the London LARTA Battersea Fair from 21st to 27th January during which time I will give a walking tour round the carpet stands on January 26th at 11am looking at examples of Turkmen weavings. To this end, I have written an article for the December issue of Antique Collecting magazine on the rugs and trappings of the Turkmen tribes. Please don't hesitate to contact me if you would like a complimentary invitation to the Fair and if you'd like to join the tour on January 26th.